At the moment we are still working on making the documentation better and more clear. The last months we spend the most effort in getting the hardware ready. Making the documentation is another part which needs a lot of attention. At the moment the documentation should be sufficient to build the Z-Unlimited, but we will convert your comments and improvements as soon as possible so it will be even easier for the next users. Please let us know if something is not clear. The google group is the place to post public questions at the moment. Keep in mind that 3D printing with the Z-Unlimited needs another strategy than 3D printing you used to do. It requires new skills in slicing, resuming prints and overall knowledge. Everything you see and do is new! So some things might not go as easy as you expect. We do think that the Z-Unlimited will fit your creative expectations…! Please note that when you start printing bigger objects the risk of failure is also becoming bigger. That’s why I would like to share some tips and tricks with you. I prefer printing with a larger nozzle [>0.6mm] to keep the printing time within limits. Bigger prints need more filament, so keep an eye on the end of the spool! I’m experimenting with a filament detection system from Tunell. Use Octoprint for remote control and monitoring to keep an eye on your print. Don’t be afraid to resume stopped prints. 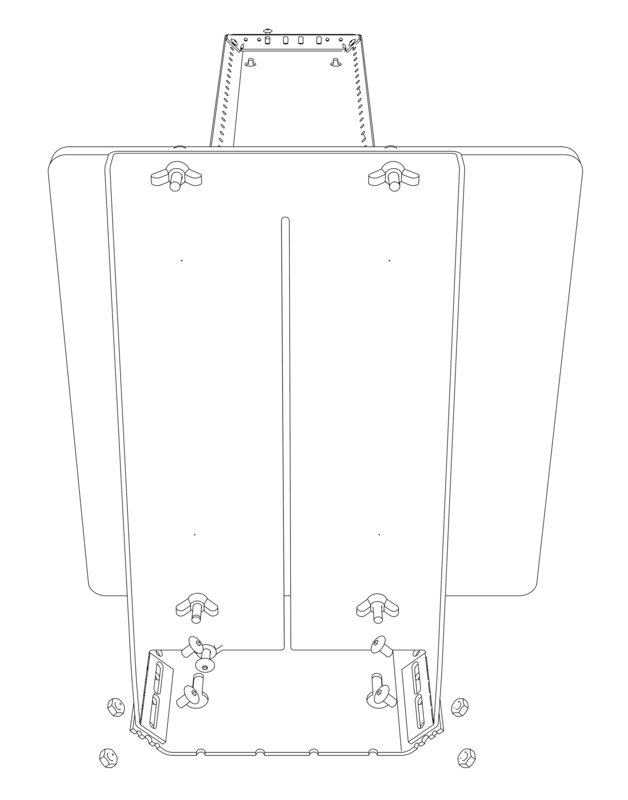 Use the included support system to stabilize your print. 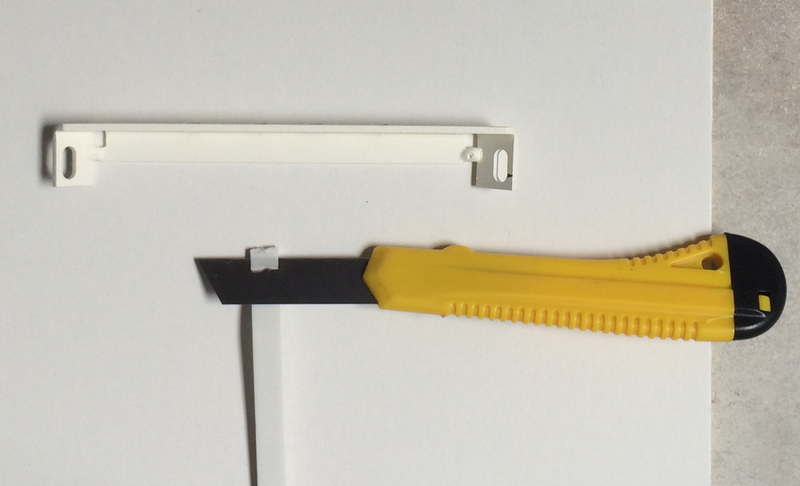 TIP: for better operation during printing, and if possible, mount a sheet of >18mm on the wall first. 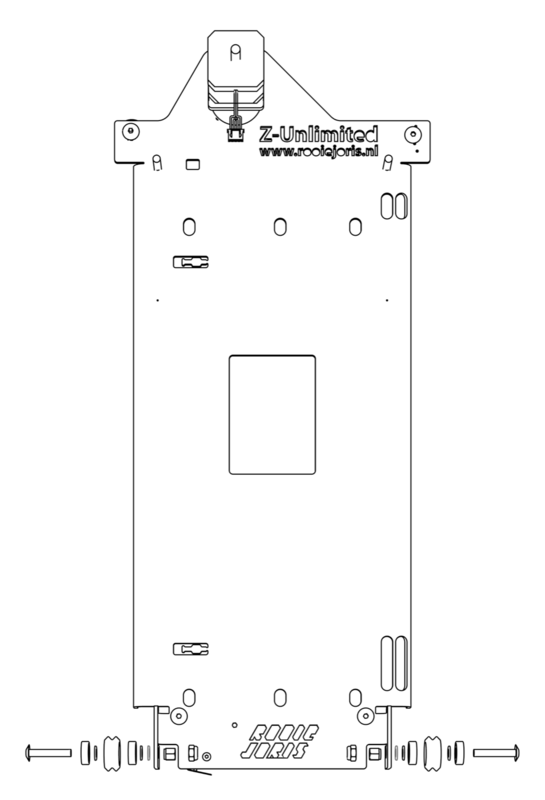 Size 138 x 1200mm, 138 x 2400 or 138 x 3600. Direct mounting is also possible. Cut the end of the belt to make it slightly thinner. Push the belt through the hole. Fold the first bump of the timing belt into the 12th valley. Place M5 x 10mm bolt push the folded belt back. Mount cable tie to secure. Mount the belt holder in the top holes of the rail with 2 10mm bolts and 2 nuts. 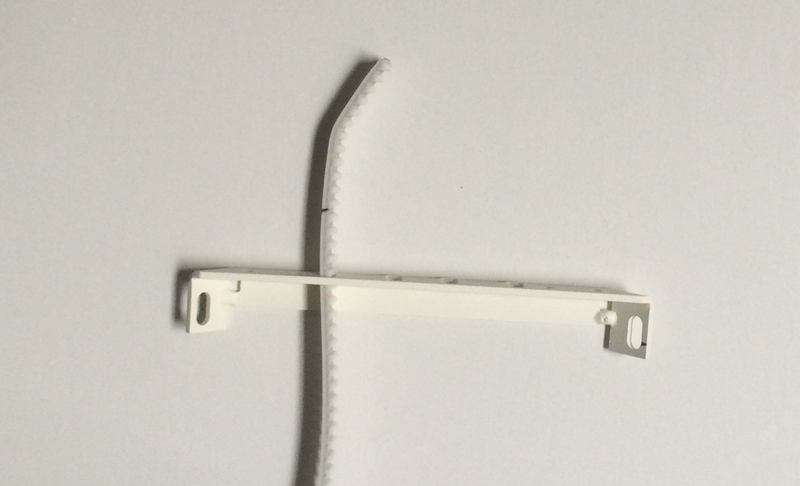 Place and mount cable tie to secure. This is only applicable on the XXL & Skyscraper kits. First mount the bottom rail to the wall, then place the next rail, mount the connector plates and finally tighten the screws on the wall. 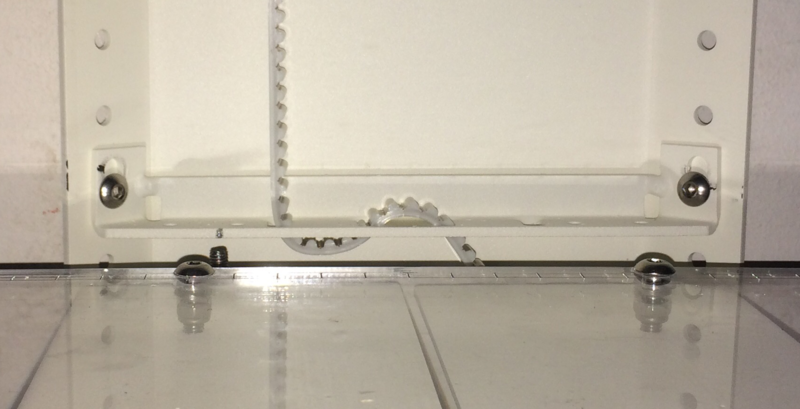 Place the 35mm bolts through the top of the acrylic platform, place a washer and then a spring washer and tighten the locknut until you can still rotate the screw but prevent a vertical movement. Do this for all 4 holes. Then screw the bolts about 5mm in the metal platform. Do this one turn at the time for each screw. These screws can be secured with a butterfly nut.The Z-endstop screw is a M5 x 35mm bolt screwed in from the bottom. Secure with a butterfly nut.Now mount the bed with two M5 x 10mm bolts and nuts on each side on the bottom of the rails. This sub assembly has the most parts. Start with preparing the Open Builds V-Wheels. Make sure there is a washer in between the bearings! Top left: Place the eccentric spacer, then place a M5 x 25mm bolt then a washer and then the V-Wheel. Tighten this with a locknut on the back. Bottom left and right: Take a M5 x 25mm bolt, then the V-Wheel and then a washer. Place the eccentric spacer. Tighten this with a locknut on the inside. Top right: Screw a M5 x 25mm bolt tight in the carriage from the front. The last V-Wheel has to wait until the carriage is mounted on the rail. Mount the timing pulley on the geared stepper motor axis. Mount the geared stepper motor with the four M3 x 6mm bolts. For the idler pulleys take a close look for the washers order in the drawing. Then screw a M5 x 25mm bolt tight in the carriage, secure them with a nut from the other side. Mount two M5 x 25 bolts from backside, this will secure the Ultimaker when you mount it on the carriage later. Mount the endstop on the back with two M3 x 6mm bolts from the front. Weave the cable throught the cable guides to the top and through the square hole to the front. The carriage is now ready to mount on the rail. First weave the timing belt around the timing pulley, then around the upper idler pulley, then around the bottom idler pulley. 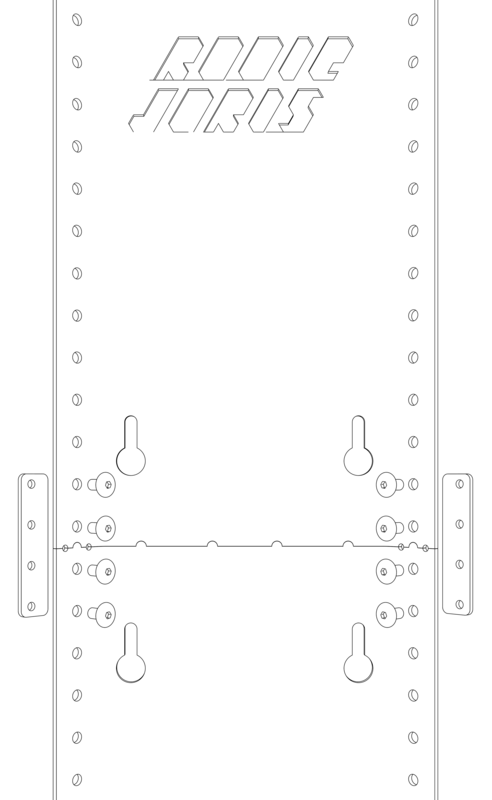 Place the carriage top left V-Wheel on the rail, then place the top right V-Wheel on the rail and push the M5 x 25mm bolt through the V-Wheel. Lock the V-Wheel with a nut. For Ultimaker 2 see below. First prepare the Ultimaker by flipping the moving head upside down. Unscrew the sliding block M3 x 10mm bolts and remove the small wooden part. 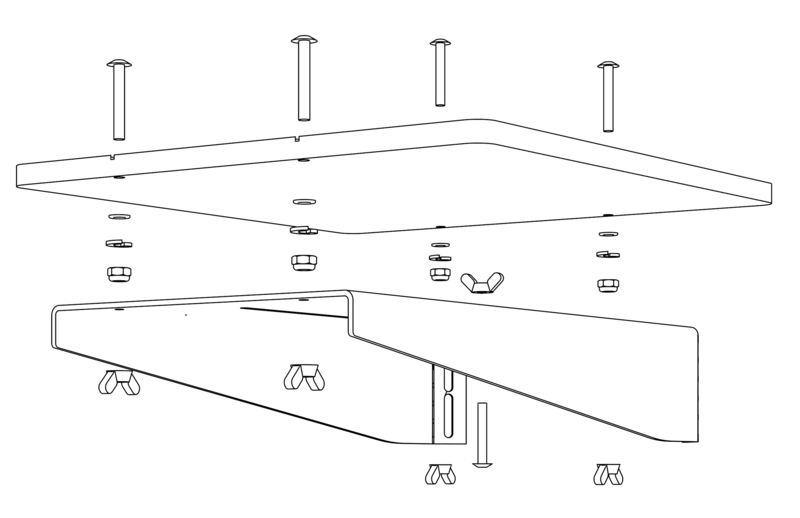 Unscrew 2 or 3 turns the M3 x 35mm bolts, see page 32 of the UM assembly manual. 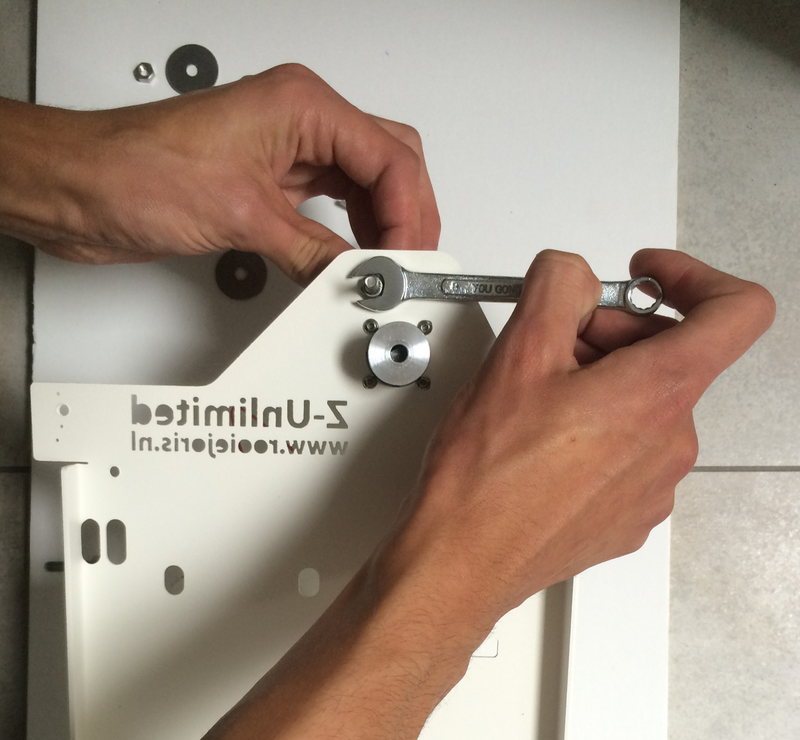 Now you can open the lever and reverse the action from page 53 of the UM assembly manual. 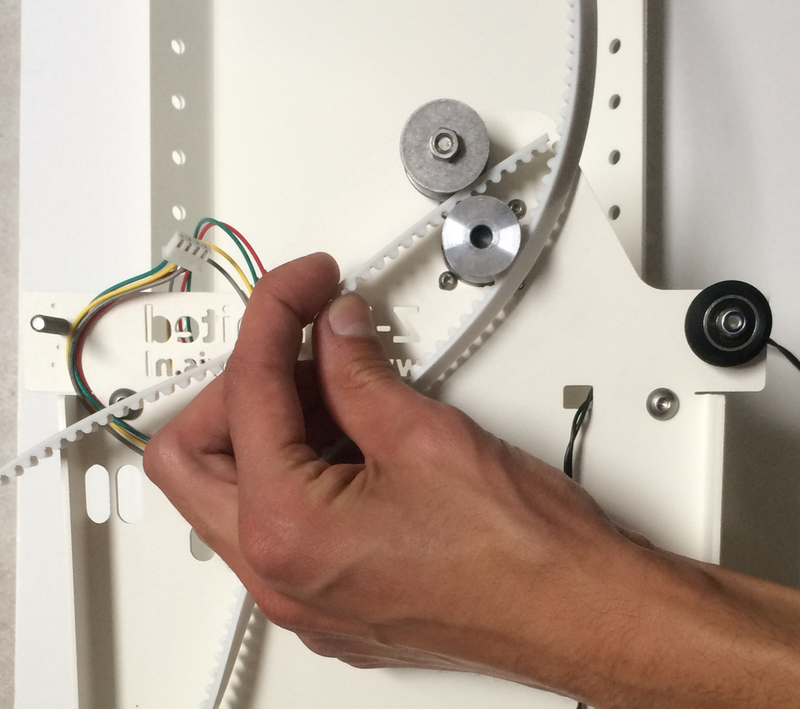 Remove the the X and Y axis, place the moving head from outside the right side panel in the machine and flip the head. The head will be 90 degrees rotated as well. Make sure the fan is pointing to the front. Then mount the head according to page 53 of the UM assembly manual. 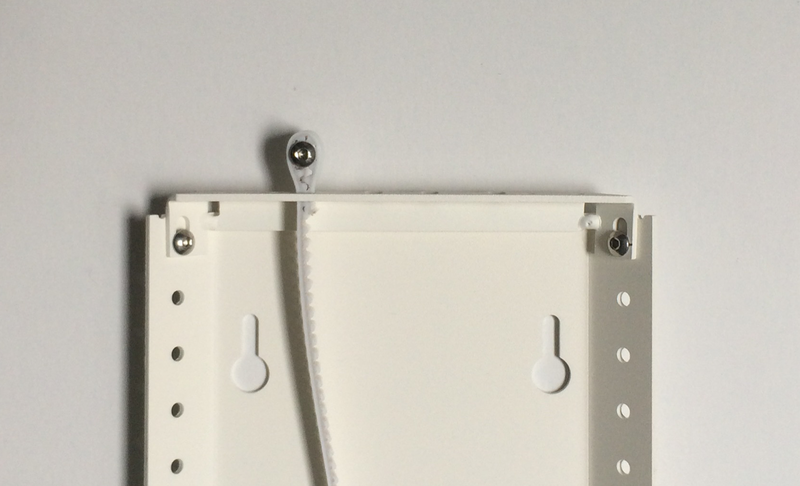 Since the side panels on the Ultimaker 2 are closed, the bowden tube cannot go through the side panel. 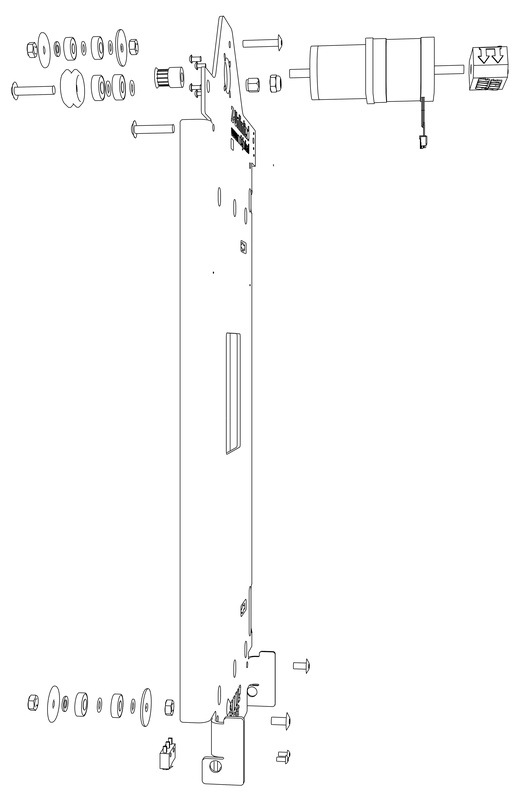 You should drill 2 holes with the hole saw according to the drawing. Detach the bowden tube near the extruder drive by removing the blue clip. Push the tube connector down and remove the tube. Unmount the metal corner cover which covers the extruder motor. Unscrew the extruder motor, make sure the plastic parts stay together! [tip: use a bit of tape before removing]. Mark the center for the holes. Drill gently – BE VERY CAREFULL – for the cables and other part which shouldn’t be drilled. mount the extruder drive upside down, this should just fit. Place the extruder in the front right corner. Remove the moving head by unclicking the X and Y axis. 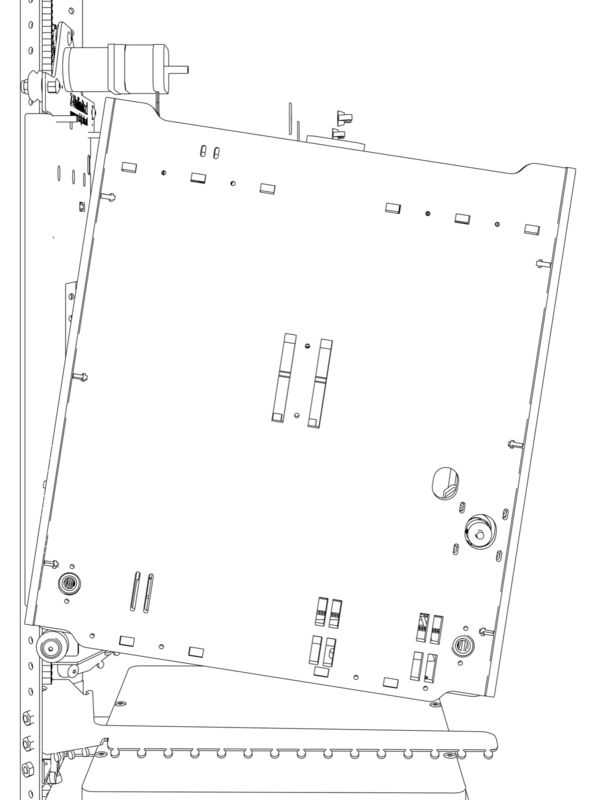 See page 60 of the UM2 assembly manual. Place the moving head through the hole and mount the X and Y axis again. The head will be 90 degrees rotaded. Mount the Ultimaker upside down on the carriage. Place the M5 25mm washers and fix with two wing nuts on the top. Extra fix with the 2 M5 x 25mm bolts on the bottom. Pull the timing belt through the belt holder until the 25th valley. Then pull the remaining belt through the next hole and back down through the one after. 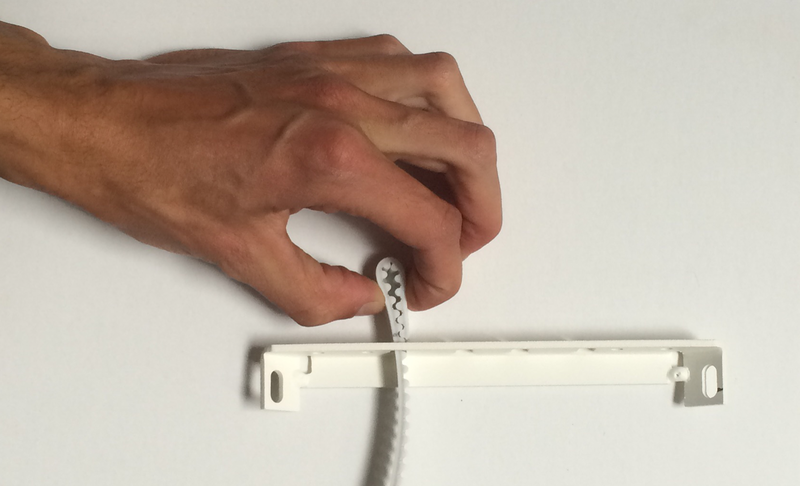 Fold back to horizontal and secure the belt with a cable tie. Some changes have to be made to the firmware and to Cura. 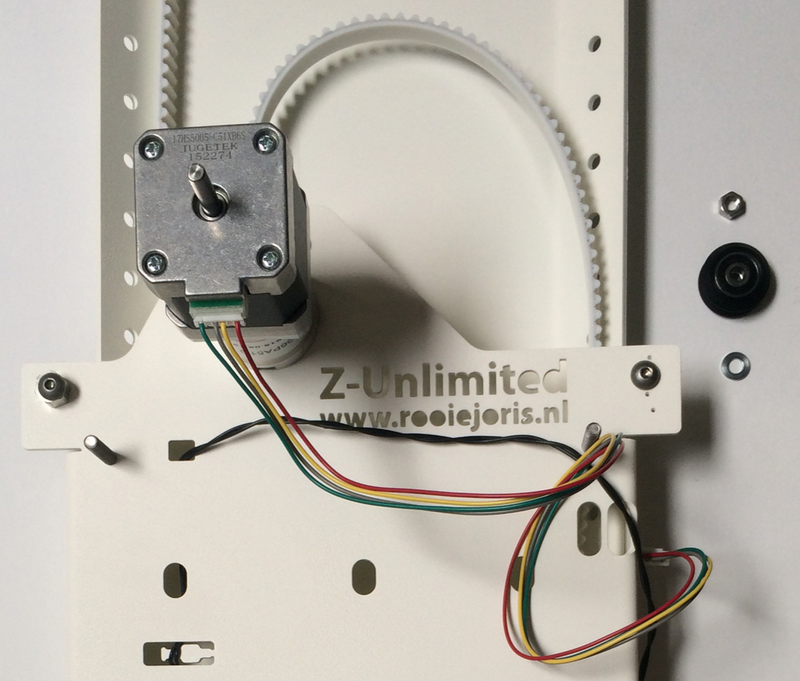 New firmware is essential to operate the Ultimaker with the Z-Unlimited. Main differences are flipping the X-axis, change accelaration and change the steps for the steppermotors. Besides that some features are activated as well like ‘baby stepping’, so you can live offset in X and Y after resuming a print to perfectly align the next layers. Attach a USB cable to your Ultimaker. Open Cura [for now a version till 15.04.2], go to machine –> install custom firmware, locate your hex file. After update, it can use stored settings!!!! The only change you have to make in Cura is the size of the build volume. Best is to add a new machine and afterwards go to Machine –> Machine settings and change the maximum height. 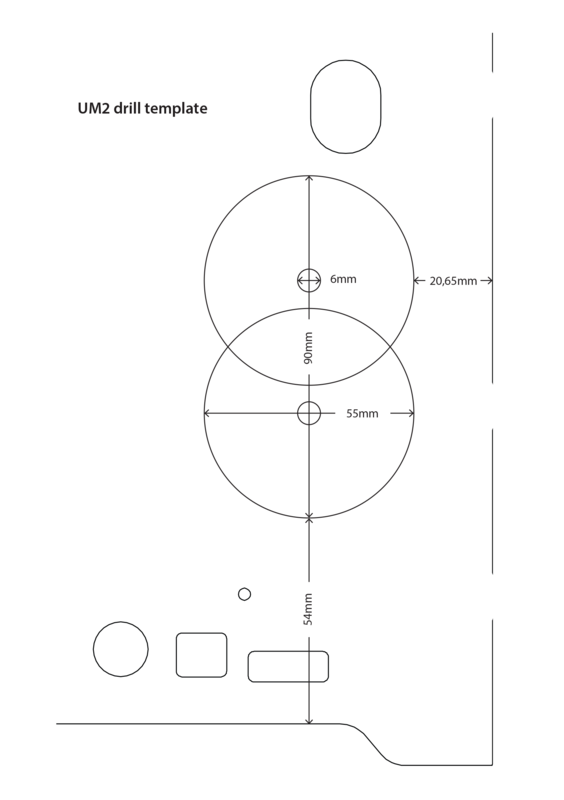 For the Basic 600 mm, for the XXL 1800 mm and for the skyscraper 3000 mm. The google group is the place to post public questions at the moment.